What Does Parental Time Control Software Do? Protect your child from online dangers and strangers. Internet is very risky for kids to get attracted to games and chats. It’s highly essential for parents to keep an eye on their kids to keep them at right path. Parental time control software will keep kids safe, on task and out of trouble.Parental time control software performs two functions. It controls the amount of time on computers, the internet or games. And it control what users are allowed to do. Parents, libraries, internet cafés, schools and offices can all benefit from parental control software. You can set time limit of computer usage. Example: You can allow your kid to play games in specific hours and rest of the time he/she can continue with their homework. We look at the variety of features available as well as their helpfulness. The top products not only monitor access and time, but also support restrictions on additional items such as programs, games, chat and downloads and provide reporting. KidsWatch™ is much more than the best-rated Parental Controls and Parental Control Software solution. It is loaded and preloaded with many optional benefits and features that improve the security and the quality of the Internet your children see. 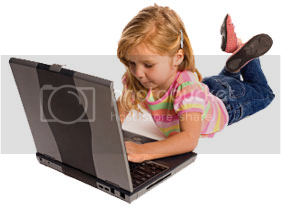 Installing KidsWatch™ on your computer is customizing the Internet, by child, the way you want your kids to experience and use it. ENUFF PC was the first computer timer of its kind to be developed and introduced 12 years ago. It was constantly updated and it remained the world’s best for over 8 years. ComputerTime was designed specifically to reduce the aggravation and concern that parents have having over their children’s computer use. Internet filtering and parental control software, gives you the ability to control and monitor your child’s use of the Internet, irrespective of where you are: in the neighboring room, at work, or even on vacation, thus enabling you to protect your child from the dangers of the Internet.